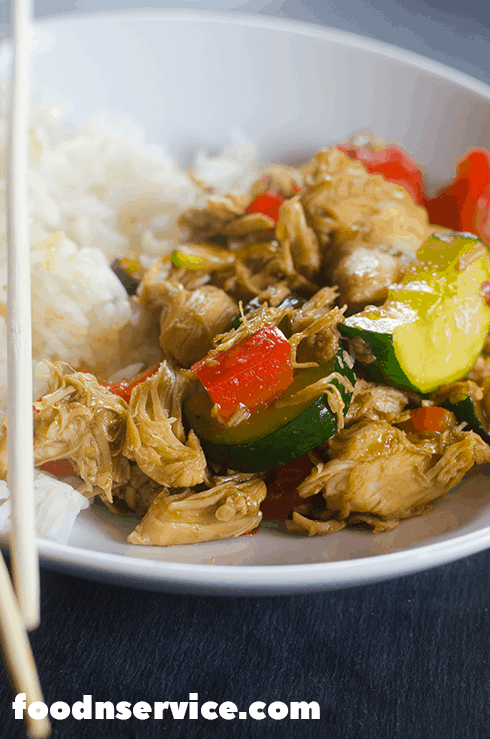 Instant Pot Kung Pao Chicken is going to be your new favorite recipe to eat on your Weight Watchers Diet plan! It’s totally easy to make, and super delicious. Your family will want you to make it over and over. I love that you can make this recipe in the Instant Pot or other types of electric pressure cookers. It makes life so easy in the kitchen! The Instant Pot Kung Pao Chicken recipe only has 4 FreeStyle Weight Watchers Points, so it makes it super easy to indulge in without feeling any type of remorse. If you want to make the points even lower than what it is, then you can totally reduce the amount or leave out the raw peanuts. BUT that’s one of the main ingredients in Kung Pao Chicken. Click on Save This to save on Pinterest! 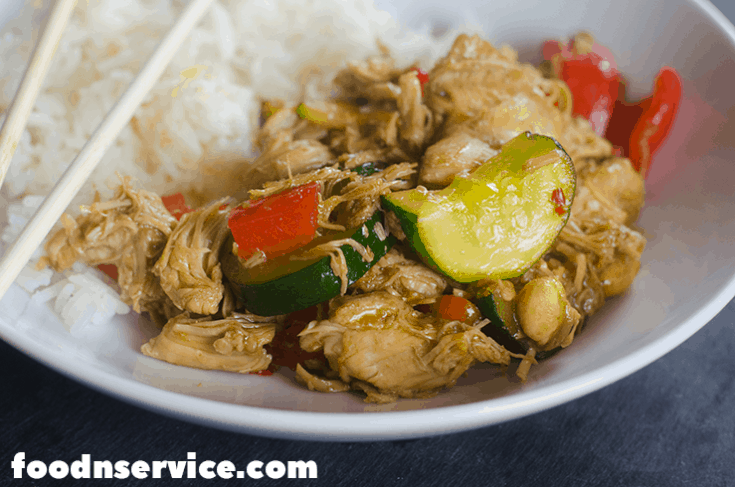 Angela and the boys totally loved the Instant Pot Kung Pao Chicken, so that made me feel amazing that I could add this recipe onto the list of my ever growing recipes that they’ll eat. Instant Pot Kung Pao Chicken is Weight Watchers Friendly! Yes! I love that Kung Pao Chicken is completely Weight Watchers friendly! With the raw peanuts added to it, there’s only 4 FreeStyle Points packed into a serving, and you could make it much lover in points if you left the peanuts out! However, I love peanuts and the points are totally worth having them. When I serve this dish, I totally serve it with white rice. I tried brown rice with them, but the boys weren’t too keen on it. It’s all good though, I don’t eat the rice anyway. I’m still on my Weight Watchers journey of eating lower carb healthy foods and try to save my points where I can. You can also add this to one of your freezer prep meals, if you do that! I’ll have a series of freezer meals coming up soon, so keep your eyes peeled for them! There’s going to be a huge list of fun recipes to prep ahead and freezer to make life a little bit easier for you and your family. Click Here To Join my Instant Pot Weight Watchers Facebook Group! I hope you enjoy my Instant Pot Kung Pao Chicken recipe, and that it’ll be something that you can add your Weight Watchers meal plan! I hope you enjoy this simple, yet delicious recipe…and may you never have to order via takeout again! You can make this dish for your next pot luck dinner with your friends and family! They’re totally going to wonder how you’ve become such an Instant Pot culinary genius. This Instant Pot Kung Pao Chicken is so delicious, and super easy to make. It's fabulous over Instant Pot Rice! In the instant pot, add in chicken with salt and pepper. Lock instant pot in place and set to high pressure for 10 minutes. Let natural pressure release. Cut red peppers and zucchini. Turn instant pot on saute mode. Add red peppers and zucchini to the pot. Cook for 3 to 5 minutes until zucchini and red peppers are tender but still a tad crisp. Add in raw peanuts and stir well. Mix cornstarch, soy sauce, raw honey, hoisin sauce, garlic, and ginger in a large liquid measuring cup. Whisk well. Add in crush red pepper. Whisk well. Fold in sauce over chicken in the instant pot. Cook 1 to 2 minutes and set heat to keep warm. Add whole chili peppers for look if needed. Serve with jasmine rice. It's what I used for my family; however, I ate it without rice to stay within my points. You can reduce the points even lower if you leave out the peanuts! Do you really cook the chicken withiut any added liquid? No…I made a mistake, but have fixed it! I forgot to add the water. Yikes! That’s exactly what I did! You can add an extra minute on for thigh meats. Enjoy! How many servings is this and how large is each serving?